Apple released a line of MacBook Pros last October 2016 and they’re very impressive coming in with amazing specs and super cool Touch Bar. Although some of us might think that the new MacBook Pros are worth its steep price, others might not be so convinced to spend that much for the new features it brings. One of the controversies about the MacBook Pros that make people think twice about buying it is its lack of ports. The port problem means spending more money on adapters and a big hassle with connectivity to other devices. If you are a wise buyer and value your money, then this con would hinder you from purchasing a MacBook Pro and spend thousands of dollars on top of its high price. This is considered one of the best substitutes to a MacBook Pro, from its awesome specs and features to its budget friendly price; you can never go wrong with Razer Blade Stealth. An entry-lever 13-inch MacBook Pro usually costs around $1800 while the Razer Blade Stealth Ultrabook can be bought at around $799. The cost of both might differ depending on the configuration you are going for. So just looking at the cost, you will be saving more that 50% of the amount you would pay for a MacBook Pro. Now you might be wondering if buying an Ultrabook for half the cost of a MacBook Pro would also give you half the quality then let me tell you that the Razer Blade stealth is a fierce competitor. Let’s talk about its specs, features and variants in the next paragraph. You can choose from 2 display variations; one would be recommended for content creators who for sure need color accuracy; this variant has a 4ktouch screen panel. Having 4k touch screen panel means 100% Adobe RGB coverage, the other variant has a QHD panel and has 70% Adobe RGB coverage. Another thing I really like about Razer Blade Stealth is that it is extremely thin; people have the impression that MacBooks are the lightest and thinnest laptop in the market. The Razer Blade Stealth is just 13.2 mm thin but has a greater build quality that rivals that of a MacBook Pro. If it wasn’t for the logo, one might think that it’s a MacBook Pro, it really looks good in person. Now let’s talk about the processor, theRazer Blade Stealth starts with an i5-7200U dual core processor with 8gb-DDR3-1866Mhz RAM, you can also go for the higher end variant which has i5-7500U dual core processor with 16gb-DDR3-1866Mhz RAM. For the video card or graphical horse power it needs, although it does not have a dedicated GPU, it uses the built-in Intel HD Graphics 620. If you prefer to have a dedicated GPU, then Razer Blade Stealth won’t limit you. It has a Thunderbolt 3 port where you can connect to the Razer Core (Razer’s own external GPU enclosure) and voila additional graphics card for heavy gamers and professionals who need really high graphical horse power. Dell, one of the leading tech companies, launched the XPS 13 and 15 at the CES 2017 (Consumer Electronic Show). XPS 13 and 15 are now known by tech enthusiasts as direct competitors of MacBook 13” and 15”, with the same thin body but really powerful specs that even out the playing field. One of its beloved features is its screen that is almost without bezel similar to a MacBook Pro, both XPS 13 and 15 feature Infinity Edge displays. When it comes to the processors, the XPS series boasts the newest and greatest Intel Lake Kaby. You can choose between the 13” variant which comes with an i3-7100U processor and 4gb DDR3-1866Mhz Ram priced at around $799 or the 15” variant with i3-7100H processor and 8gb DDR4-2400Mhz RAM price starts at $999. These are base prices though and can go way up to $1649 and it depends on the configuration you will choose. If you’d like to know your choices for configuration, then you can visit Dell’s website as they are presented neatly there. Even though Dell XPS 13 and 15 have slim bodies they are still well built and sturdy, one of the best in this category I must say. Its chassis is made of aluminum on the outside and soft carbon fiber texture on the inside. One of its few cons is the cam, which is placed on below the display instead of the usual position on top mainly because the bezels are super thin. There are other differences between the 13 inch and 15 inch variants. One of the main difference aside from the obvious size and processor is its GPU, XPS 15 has NVIDIA GTX 1050 graphic card while XPS 13 uses Intel’s integrated HD graphics 620. So if you are into heavy gaming and would like to play in high resolution then XPS 15 is for you. Just like the Razer Blade Stealth, Dell XPS 13 and 15 has Thunderbolt 3 port and SD card reader. It’s cheaper than a MacBook Pro but a little bit more expensive that the Razer Blade Stealth. 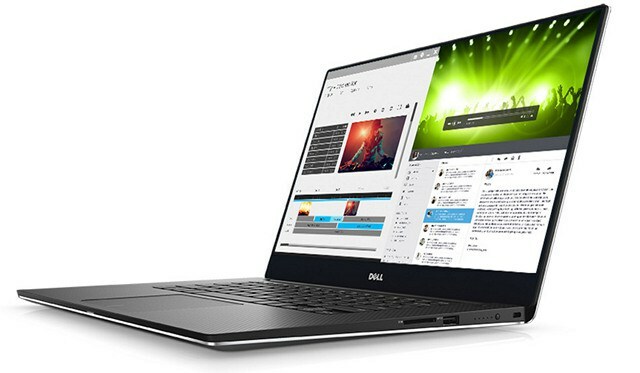 So if you’re looking for a laptop with almost bezel-less screen and built-in dedicated GPU then Dell XPS 13 and 15 is for you. Just like the Dell XPS series and the MacBook Pro, HP Spectre X360 2017 also comes in 13 inch and 15 inch variants. You might wonder why it is named X360; it is a convertible laptop that has a 360° hinge design. It’s is probably the flagship laptop of HP as it sits on top of its consumer range because of all the amazing and top of the line features it has. HP Spectre X360 has light and thin form just like those mentioned above, but surprisingly has very long battery life. The keyboard is delightful to type with and the track pad is very responsive. HP Spectre X360 also has a number of ports you require like the USB 3.0 ports, Thunderbolt 3 ports with transfer rates of up to 40GB per second, USC-C ports and an SD card reader. 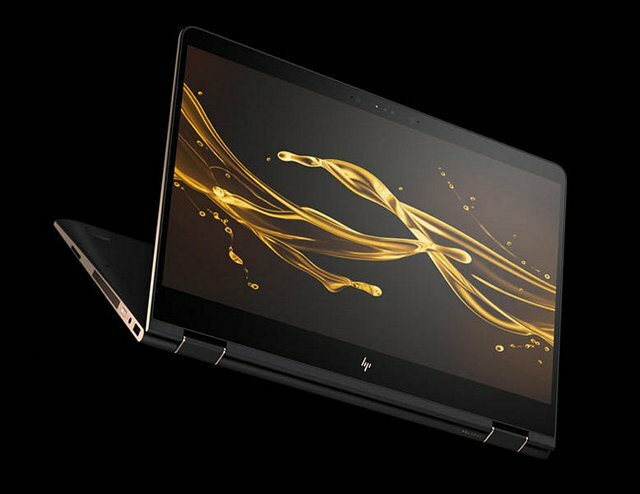 You can buy HP Spectre X360 13-inch variant for the starting price of $1199. It has a Full HD display, i7-7500U dual core processor, 8GB DDR3 RAM, 256GB PCIe NVMe M.2 SSD. The pricing can go up to $1499 which is the highest variant with Ultra HD 4K display, i7-7500U dual core processor, 16 GB DDR4 RAM and 512GB PCIe NVMe M.2 SSD. When we talk about horsepower then the ASUS ZenBook Pro UX501 packs quite a punch which should make the MacBook Pro nervous. 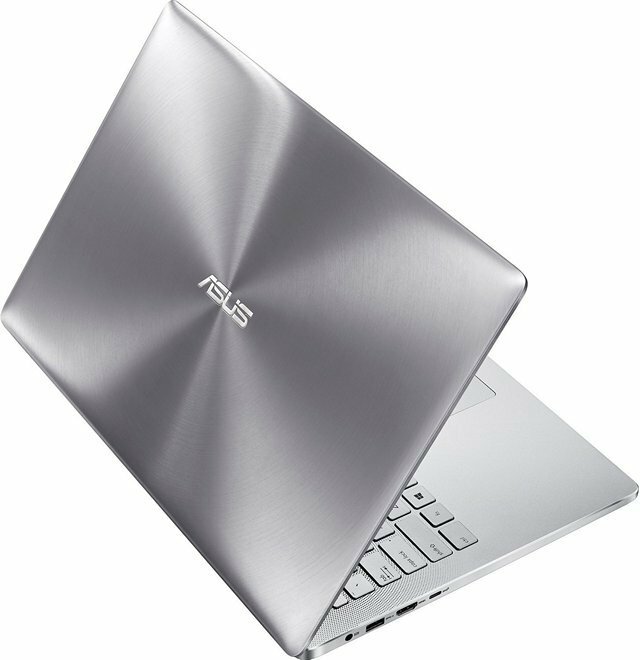 The ASUS ZenBook Pro has a high-end processor that can push the frequency up to 3.5 GHz namely i7-6700HQ Skylake. Aside from its powerful processor the ASUS ZenBook Pro also has a dedicated GPU which is the NVIDIA GTX 960M, it will give you all the graphical horse power needed for high resolution settings in your games. At the regular pricing of $1499, the ASUS ZenBook Pro includes a high-performing NVMe SSD with transfer speeds of up to 1400 MB per second. As of this writing, the ASUS ZenBook Pro can be bought from Amazon at a lower price which is $1415. Aside from the features and specs mentioned above, this laptop also has all the ports you might need just like the ones mention in the past three Ultrabooks. Back in 2015, Microsoft unveiled the Surface Book as a direct opponent to the MacBook Pro. When the Microsoft Surface Book was launched, it definitely gave the older gen of MacBook Pros a run for their money with its raw power and wonderful design. All that power and beauty doesn’t come cheap, you can buy the base version at $1499 and goes all the way up to a whopping $3200 price tag. The Microsoft Surface Book is powered by and i7-6600U dual core processor and a dedicated GPU, NVIDIA 965M graphics card. The best feature for me is the Surface Book’s vibrant fulcrum hinge, it lets you covert your surface laptop to a surface tablet by detaching the display. It has a strong build as well as it should be with its price tag. The keyboard also has a nice feel to it and pretty easy to type with, the precision track pad is also a nice feature which will make your Windows 10 experience even more delightful. The Surface Book also comes with a Surface Pen that lets you draw and write accurately on the Surface Book’s screen. 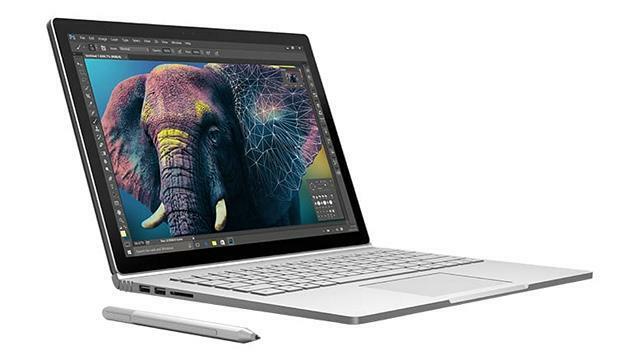 If you are a Windows and Microsoft fanatic and want a convertible and sturdy laptop, then the Microsoft Surface Book is destined for you. MacBook Pro would be easier to say that this ultrabook’s name, however, the long name also comes with a long list of high-end specs since this is a gaming laptop. It is almost as like a desktop in a laptop’s body specifically its 17.5mm thin chassis. When it comes to gaming, the MacBook Pro pales in comparison to MSI GS63VR 6RF Stealth Pro as it is packed with NVIDIA’s newest Pascal GTX 1060 graphics card. You can play any game on its highest resolution or setting and still get velvet smooth frame rate. MacBook Pro’s Radeon Pro 460 GPU is a baby compared to MSI GS63VR 6RF Stealth Pro’s GPU. When you have a laptop with a fierce GPU then it should also have a high-end processor, SSD and display, in this case, MSI GS63VR 6RF Stealth Pro uses Intel i7-6700HQ Skylake processor, 512GB M.2 SATA SSD, 16GB DDR4 2400 Mhz RAM and 1080p 15.6-inch display. If the MSI GS63VR 6RF Stealth Pro’s graphical power is still not enough for you then there is no need to worry as it comes with a Thunder bolt 3 port so you can connect it to an external graphics card enclosure. It also has all the ports mentioned above. My favorite feature would be the RGB keyboard which illuminates the keys and is really helpful for gaming. This powerful gaming laptop can be yours at just $1699, it is definitely worth it. Alienware and Dell are the first maker to pull off and OLED screen on a laptop, yes you read that right an OLED screen (Organic Light Emitting Diode). They were able to create something so stunning you can’t resist to get your hands on it. You can get the Alienware 13 R3 in the OLED variant that has a QHD resolution (2560 x 1440) with 100% Adobe RGB and sRGB. When it comes to the display category, the Alienware 13 R3 puts the newest MacBooks to shame. 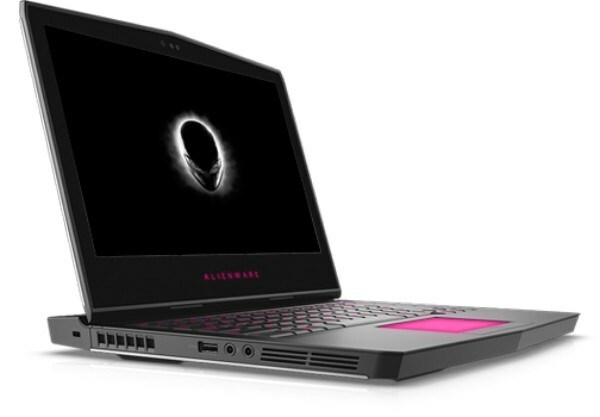 The display is not the only reason you would want to buy the Alienware 13 R3 OLED, just like a desktop it comes with NVIDIA GTX 1060 graphics card and 6GB DDR5 memory for smooth gaming frame rates. It also comes with the newest Kaby lake i7-7700HQ, 16 GB DDR4-2667Mhz RAM which you can upgrade to 32 GB and 512GB PCIe SSD for incredibly fast transfer speeds. The only thing that people might not like about the Alienware 13 R3 OLED is its rather chunky build, it’s not as thin and lightweight as the MacBook Pro and the other ultrabooks mentioned above but the high-performance it delivers makes up for all that heft. There are two ultrabooks featured in this article made by Razer. I saved the best for last, this is the biggest and most expensive alternative to the MacBook Pro on this list. The Razer Blade Pro is 17.3-inch Laptop giant and its performance and features are parallel to its size. 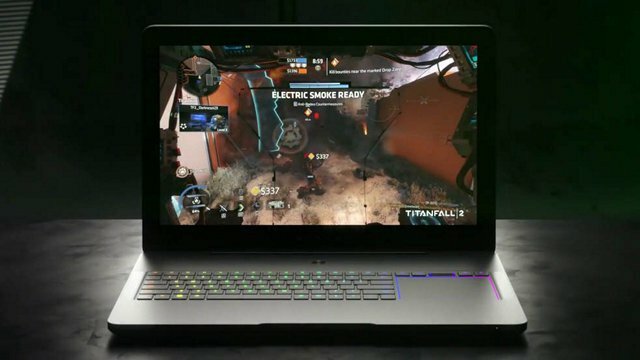 Razer Blade Pro is definitely a Titan not just on this list but in the world, currently considered to be one of the most expensive and powerful laptops in the world (a lot costlier than the MacBook Pro). Having desktop performance and capabilities packed in a 22.5mm body justifies its gigantic price tag. 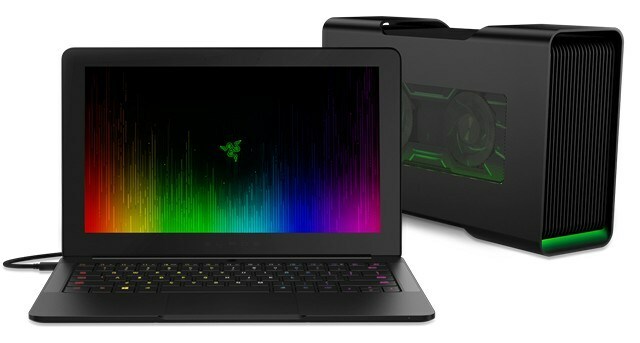 Razer is the first maker to fit a GTX 1080 graphics card into a laptop, there are other manufacturers whoi have tried it but were not successful in putting it in a body as compact as the Razer Blade Pro. Just like the Razer Blade Stealth, the Razer Blade pro also has an aluminum unibody design so it sure is sturdy. When it comes to the display, Razer Blade Pro boasts its amazing 4k IGZO (Indium gallium zinc oxide – a display made with artificially produced transparent crystalline oxide semiconductor) touch screen display which has 99% Adobe RGB and 100% sRGB coverage that is useful for color accuracy and content creation. NVIDIA G-sync is also included for non-tearing screens and silky smooth gaming frame rate. The Razer Blade Pro is powered by Skylake i7-6700HQ one of Intel’s high performing processors, 32GB DDR4-2667Mhz RAM and maxed the legal battery limit on a plane by packing a 99Wh battery. The Razer Blade Pro is available in three SSD variants: 512 GB for $3600, 1TB for $4000 and 2TB for $4400. Aside from the SSD size all other spec and features are the same across all variants. If you like an all-around powerful laptop, then this is for you. It is a very good investment and will make your gaming and professional experience a lot more exciting and fun. The MacBook Pro might be considered one of the most famous laptops of this decade; however, being famous isn’t the only factor you need to consider when buying laptops or any other gadget for that matter. As someone who values time and money, I tend to examine all possible options when shopping for things especially the gadgets I use on a daily basis. Knowing what you will be using the gadget primarily for should be the first step. If you would like to save money, then you can choose to buy some of the cheaper ultrabooks on this list as they can keep up with the specs and performance of a MacBook. 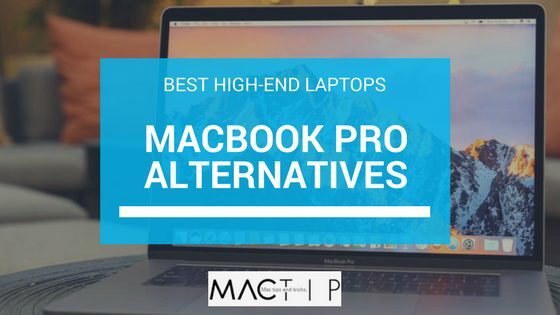 If money is not the issue and if you are someone who wants more than what the MacBook Pro can offer, then the high-end ultrabooks on this list is the best for you. When you do decide which of these ultrabooks to buy, let us know we’d be happy to hear how we helped with your decision. If you have other ultrabook models that you have tried and can say that is as good or even better than a MacBook Pro, we would appreciate it if you could share your experience using it with us.